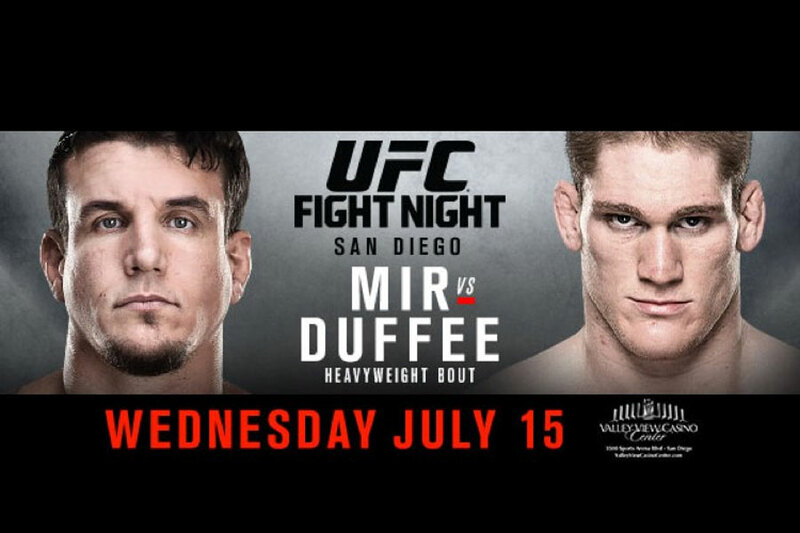 “UFC Fight Night: Mir vs. Duffee” goes down Wednesday inside Valley View Casino Center in San Diego, California. UFC Fight Pass streams the first three scraps live at 6:30PM ET/3:30PM PT. Fox Sports 1 handles everything else from there. The remaining prelims air at 8PM ET/5PM PT, while the main card starts at 10PM ET/7PM PT. Former heavyweight champion Frank Mir meets Todd Duffee in tonight’s featured attraction. Lightweights Tony Ferguson and Josh Thomson collide int he co-main event.